To understand the core processes involved in the onset, maintenance, and recovery from mood and anxiety disorders such as depression and posttraumatic stress disorder (PTSD) in children, adolescents, and adults. To translate this understanding to generate novel forms of psychological treatment for these syndromes and to provide greater clarity concerning the mechanisms of action of existing treatments. Our research is guided by the MRC’s framework for developing complex interventions and occupies a trajectory ranging from basic cognitive neuroscience through to randomised clinical trials. This work is grounded within a transdiagnostic framework, taking the view that the greatest potential for understanding and treating affective disorders is to focus on maladaptive underlying psychological and biological processes that cross traditional diagnostic boundaries, rather than pursue diagnosis-led research. We use cognitive-experimental, psychophysiology, genetic, and neuroimaging methodologies in the laboratory and prospective longitudinal and clinical trial designs outside the laboratory. Our basic and pre-clinical science is carried out at the CBU. Our clinical research is carried out at the Cambridge Centre for Affective Disorders (C2:AD) directed by Tim Dalgleish. Biased patterns in the retrieval of emotional autobiographical memories both maintain symptoms of affective disorders, and predict future symptoms. Our ongoing work focusses on establishing the mechanisms through which biased autobiographical processing influences symptoms. This is being investigated through experimental work with both normative and clinical samples. This work also forms the foundation for developing novel cognitive interventions. Currently, we are testing the efficacy of memory training programmes that seek to improve processing of emotional information, and thereby treat symptoms of depression. We work closely with local health services to assess our training programmes, with the aim of developing innovative treatment options for those experiencing affective disorders. “Mood and anxiety disorders are characterised by deficits in executive control that seem particularly marked in the context of affectively-laden self-relevant information. We are exploring the potential of working memory training using such emotional material to deliver transferable gains in affective processing across diverse cognitive domains. Ongoing studies focus on healthy participants and patient groups with depression and PTSD, and utilise behavioural and functional MRI evaluation methods to examine the size of training and transfer effects and the brain systems that underlie them. Humans are fundamentally social. We create a diversity of social hierachies within the family, at work and in our social lives. Our positions in these social hierarchies are dependent on our ability to detect social cues relating to inclusion and rejection, and our subjective well-being relies on how effective we are at translating this information into our self-esteem. It has been argued that depression is an evolutionarily adapted response to losing rank status, associated with prolonged involuntary subordination, submissive behaviour and perceived inferiority. We are investigating the hypothesis that individuals with a history of depression show chronically facilitated cognitive processing of social rejection information alongside impaired processing of social affiliation and inclusion cues. Ongoing studies using functional MRI in healthy and depressed participants aim to identify the neural signature of social rank processing and how these may be altered in depressed individuals. Together with collaborators across the UK (e.g., Professors Williams and Kuyken at Oxford, Professor Blakemore at University College London), we are investigators on the MYRIAD project. Adolescence is a vulnerable time for the onset of mental illness, with half of mental disorders beginning by the age of 15. Training psychological resilience during this critical time may therefore help to minimise the onset and severity of mental health issues. One potential way of improving psychological resilience is through training mindfulness, and the MYRIAD project is implementing mindfulness training in high schools. The wider project will be exploring whether mindfulness training is effective in reducing or preventing mental health issues, and how to best train teachers to deliver mindfulness in schools. 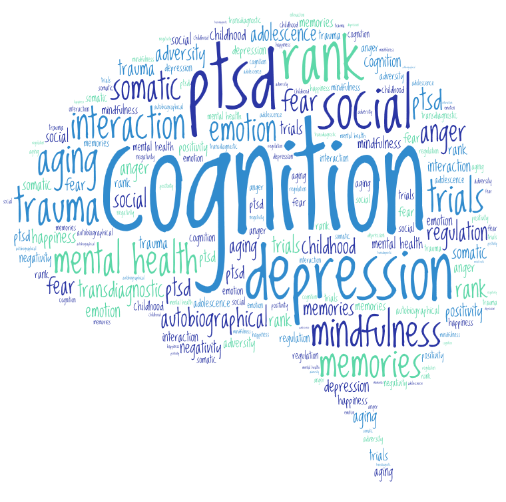 Our team will focus on determining the cognitive and neural mechanisms underlying the effects of mindfulness training. Complementing our basic research work on affective memories and their control, we are running an exploratory randomised clinical trial (RCT) testing new a clinical intervention for PTSD where the core focus of treatment is on restructuring trauma memories and enhancing the ability to regulate them. Building upon our previous work (e.g., the ASPECTS trial led by Dr Richard Meiser-Stedman), the NIHR-funded PYCES trial is examining the efficacy of memory-focused CBT as an early intervention for very young children (3-8 years old) with PTSD. 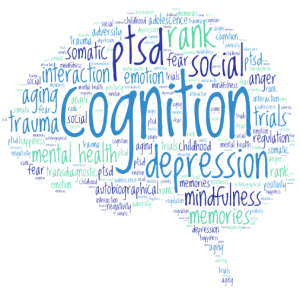 The trial embeds basic science components to investigate the hypothesis that the intervention exerts its effect by changing the nature of traumatic memories and their regulation.